COUNTING DOWN TO MYANBUILD 2018! K Foil Insulation are gearing up for Myanmar Biggest International Building and Construction Industry Show! Exhibition will be held at Myanmar Event Park (MEP), Mindama, Yangon, Myanmar. We are exciting to share more information with all the visitors regarding our product and services, see you soon! 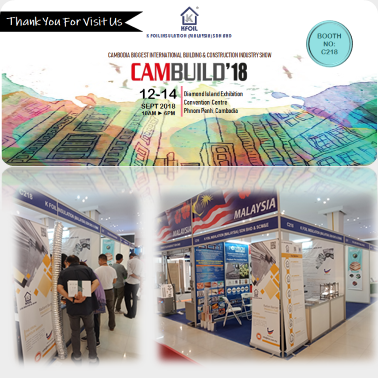 We also would like to express our gratitude to our visitors during the CAMBUILD 2018. Hope we can enhance our relationship in future!